In Buddhism, Sutra copying is the act of hand-copying important scriptures. Before the invention of the writing press, this was also a means of propagating Buddhism. However, Sutra copying was also thought to be a Buddhist merit, which is why it is still a part of the training of Buddhist priests today. Recently, many temples offer regular people a chance to try their hand at sutra copying too. One of these temples is Ryosoku-in, a sub-temple of Kennin-ji Temple, the head temple of the Zen sect of Buddhism, where they hold sutra copying every day. You can quietly concentrate and just copy the Chinese characters. It’s surprisingly easy to do even if you know no Japanese, since it’s such a thin piece of paper that you can see the characters underneath. There is no time-limit so you don’t need to hurry. It’s not considered important how well you write; what’s important is how dedicated you are. I hope that you will have a chance to try sutra copying at Ryosoku-in. After you go into the sutra copying room, a person from the temple will explain how you should copy the sutra. After this, you should take some rubbing incense, “Zuko” in your hands, rub them together, smell them, put your hands together in the Buddhist prayer position and then start copying the sutra. After you have finished writing, put your hands together again. The sutra copy you made will be enshrined at the tutelary temple of Ryosoku-in, Bishamon-do, which in turn enshrines Bishamon, a Buddhist deity. Before starting the sutra copying, you put Zuko rubbing incense on your hands. You put some of the powder on your palm, rub your hands together and smell them: the fragrant smell of the zuko incense will make you feel refreshed, both body and soul. After you have finished copying the sutra, you have a column where you can write your wish. It is said that this wish will become true when the sutra-copy is enshrined at the temple. You can, of course, write your wish in any language. After you finish copying your sutra, you can take a look around the garden of the temple. The garden is not normally open to the public, but a few times a year they have a special event where anyone can go see the garden. Although, there is an entrance fee. In early summer you can see the white flowers, known as Chinese lizard tail, bloom in the garden and enjoy the beautiful scenery. Ryosoku-in is inside the premises of Kennin-ji Temple. After you go through the gate of Kennin-ji, you will see a narrow path. 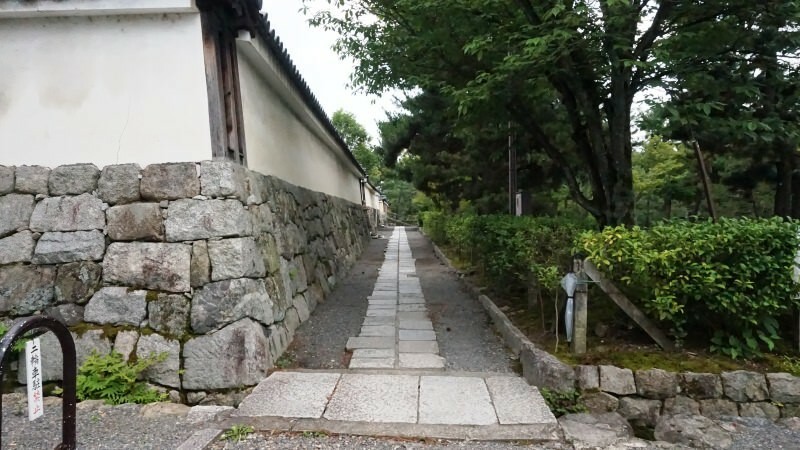 If you keep walking straight, Ryosoku-in is on the left. If there is no one at the reception, use the intercom. The sutra copying workshop held every day from 11 a.m. You need to be at the temple before 10:50 a.m. At max, 8 people can join one session. You can make a reservation online and you don’t need to take anything with you when you go to the temple. The sutra copying experience is not for those who don't have patience, but then on the other hand, it may be good for making you more patient. Some prior knowledge of Chinese characters is useful, but as you are copying them from a sheet, you can also do sutra copying even if you don't know any Japanese nor Chinese. As an experience, it is something soothing, and something that makes you forget all about earthly pleasures. The temple is a 7-minute walk from Keihan Gion-Shijo Station or a 10-minute walk from Hankyu Kawaramachi Station. Every day from 11 a.m. 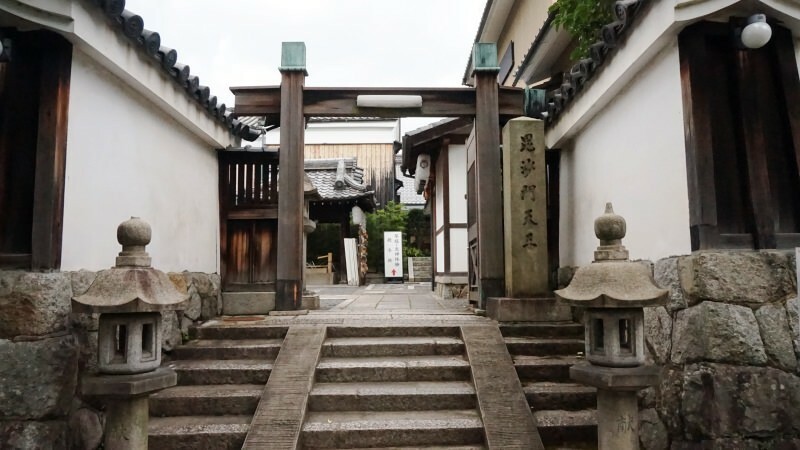 This temple is in the Gion area so access to it is easy. The sutra copying can be reserved online, so it should be easy to participate in. Only Japanese, but one of the priests of the temple can speak English, though he is not always at the temple.